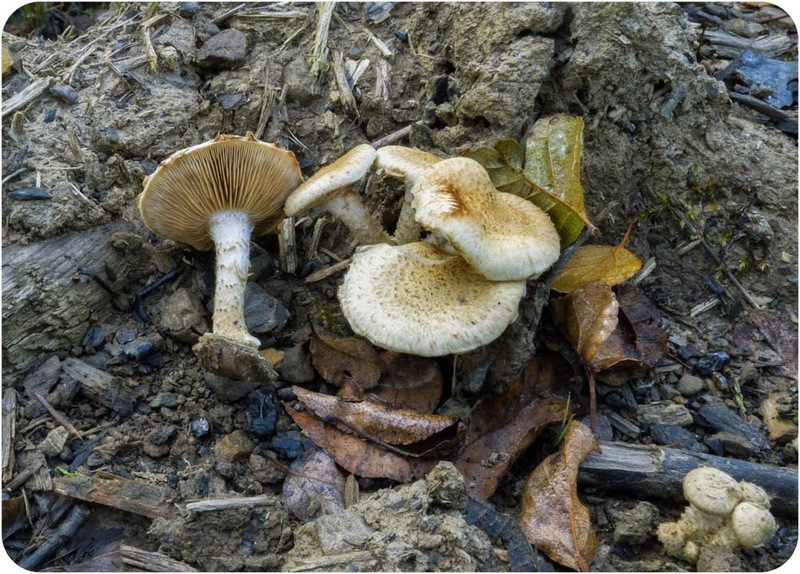 Two different types of Scalycap fungus were found alongside the cycle track near Horeb. The first would seem to be Sticky Scalycap ( Pholiota gummosa), which feeds on the buried branches of dead trees; whilst the second is probably Shaggy Scalycap (P. squarrosa), which was growing on the base of an old, but still living, alder tree. 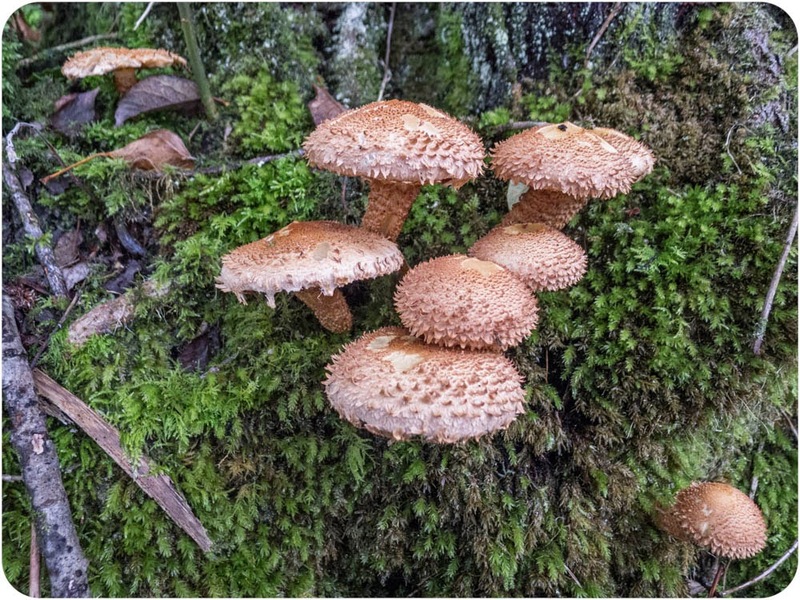 Sometimes the Shaggy Scalycap can be mistaken for a Honey Fungus, but all Pholiota species have a brown rather than white spore-print.